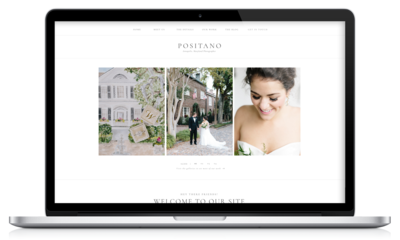 A few years ago in our wedding photography business we realized the importance styling details plays on a wedding day. 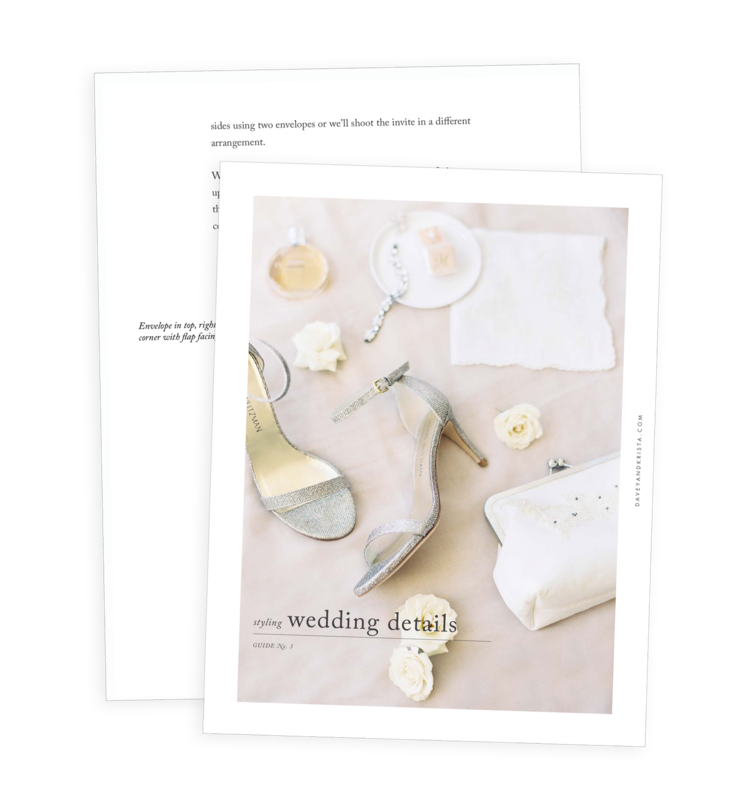 The ability to style and shoot details beautifully not only helps us serve our couples better by capturing their carefully chosen details in a beautiful way, it helps us get more weddings featured in publications such as Style Me Pretty and Martha Stewart. 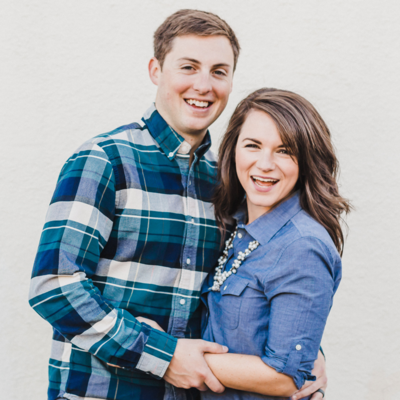 Not only do our couples love being featured, those features send traffic our way that can turn into more clients. 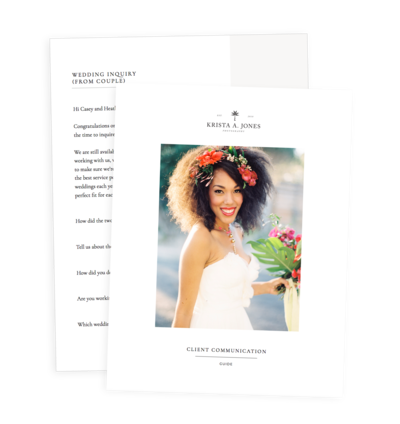 At some weddings, we work with talented planners like Kari Rider Events and Kruse and Vieira Events to help us style invitations, shoes, etc. as we shoot. But not all planners are stylists and not all couples hire planners (and some planners have too much going on to help style!). Some wedding days are filled with so many details that we barely have time to shoot them all. However more often than not, when we show up to a wedding day, especially one without a planner, we find that the flowers aren’t arriving at the getting ready location or we’re handed very simple details. And while we’re all for simplicity, we’ve found that by preparing ahead of time, we can make even the most simple of details look beautiful. When we can, we always try to shoot details with elements that are unique to the wedding day (beautiful old floors, florals from the day), however in the event that we don’t have great surfaces or extra details to help style invites, shoes, jewelry, etc, we always have a few extra items with us on a wedding day to help style details. The ribbon, oyster shells and stamps all came from our styling kit and since we didn’t have florals from the florist when we took this photo, the greens were foraged. So what do we bring with us on a wedding day? Well first we bring a few backup “surfaces” for details. If we’re in a location without great surfaces, we shoot details on linen. We picked up a yard of off-white and a yard of tan linen from our local fabric store and keep them in our rolling camera bags. Bunched up cheesecloth from Amazon works great as well! 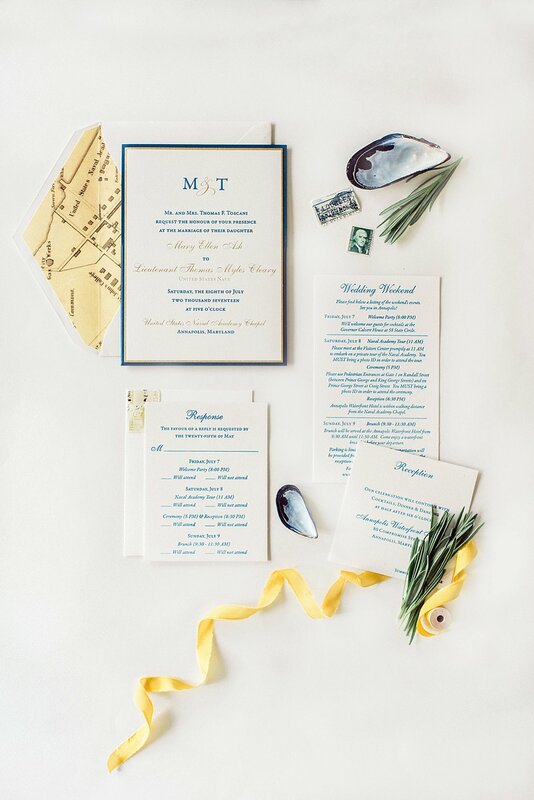 We love using stiff linen boards and heavy poster board to shoot details. We will admit though that due to travel restraints (Davey often drops me off at the getting ready location and I travel with the girls to the ceremony site,) we don’t normally bring these items to a wedding unless we’re going to be in the same location all day with plenty of space to store gear we don’t need all day. In addition to the surfaces, we also bring a little box filled with simple details that coordinate with most of our wedding. If 90% of our weddings didn’t take place on the water, we wouldn’t bring shells or some of the ribbon colors that we do. 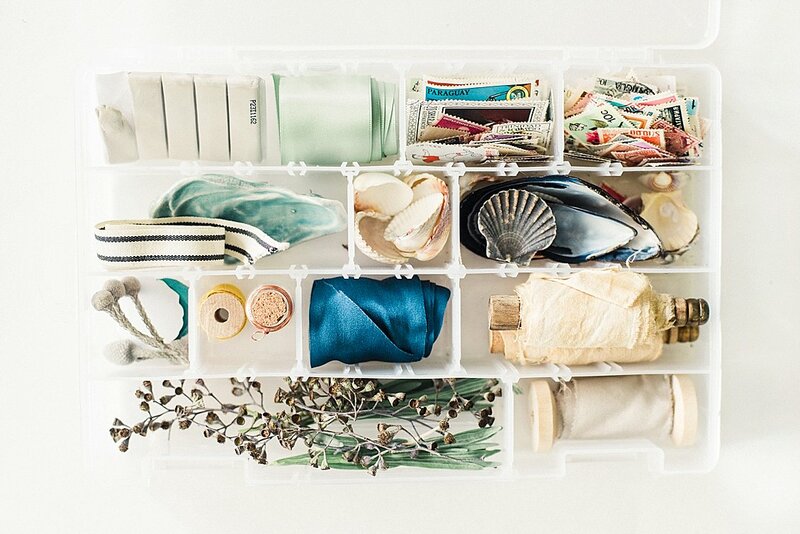 We use a simple craft box like this one. We picked a pack of 200 used, vintage stamps up Etsy for about $9. 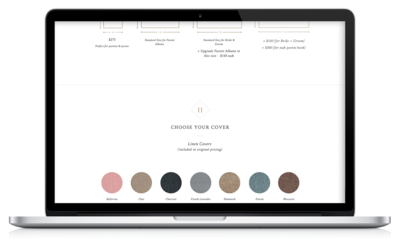 Almost every color you could need was included in that pack and we select different stamp designs based on the overall style of the wedding. Sometimes we add these to the envelope of the invitation suite to make it look like it was actually mailed, but sometimes we add them as accents. We love to use scraps of ribbon to soften details and lead the eye through the image. We carry a few neutral ribbon scraps in our styling kit, and use them when we’re styling invitations. We recently purchased some Natural Silk Ribbon on Etsy, but if you look around there are tons of other options! You don’t need to spend a lot to find quality ribbon and as we receive gifts that use beautiful ribbon, we hold on to it. A few years ago we picked up a small, ceramic dish from J. Crew (this one from BHLDN is cute!) and from time to time we shoot the rings inside of it. These little dishes also look great in invitation shots – although you need to be careful not to use them in every wedding. The same is true for ring boxes (like the Mrs. Box). Rolled-up double stick tape or glue dots are used to hold ribbon in place and flatten envelopes. If you don’t have command hooks in your camera bag, order some today! They come in so handy when hotel rooms don’t have any pretty places to hang the dress. We always try to incorporate extra details from the wedding itself, but just in case we’re in a pinch, we carry wax seals, a cork and dried flowers in our kit. They’re not something you want to rely on for every wedding, but they come in handy when you need an extra accent in your shot. I can’t stress enough that we use these details sparingly and we don’t use them at every wedding. When we can, we always try to use the details our couple has provided on their wedding day, or details from the environment we’re in. 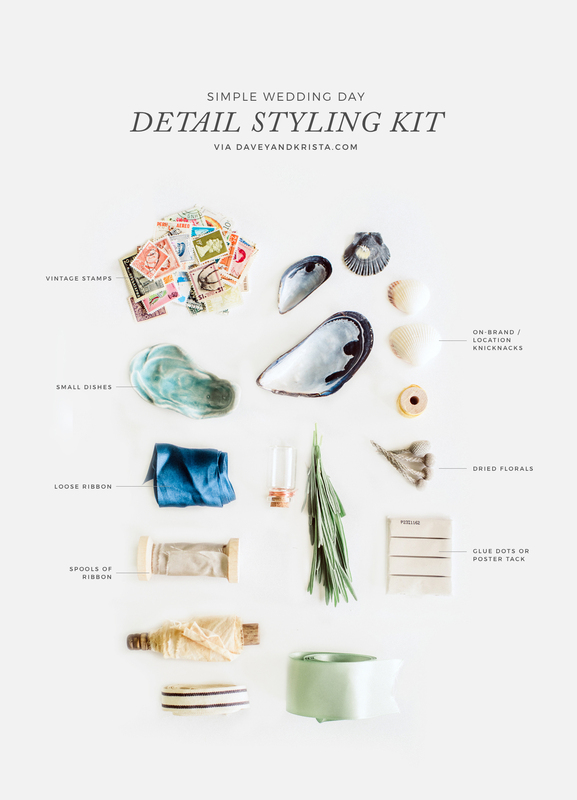 But when we’re in a pinch, carrying linens and a few of these items with us has made a huge difference in the quality of the images we produce on a wedding day! 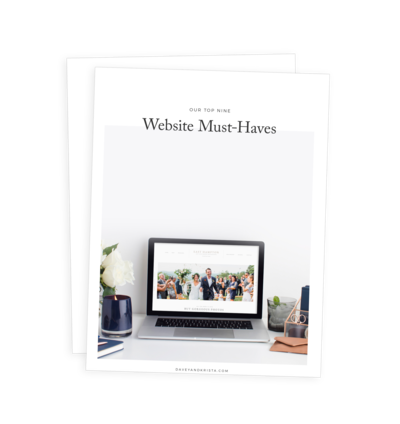 Want to learn the tips we share with our couples to streamline the shooting details process, our full styling kit, how we style wedding invitations and more? 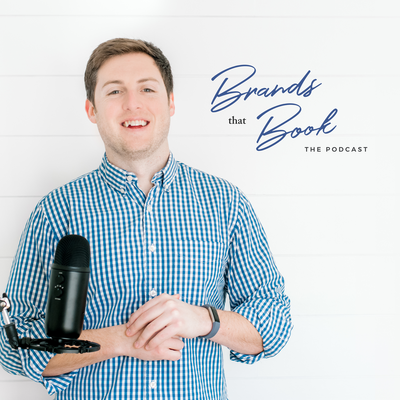 Grab our free guide!